This is my face - half with makeup on and the other half is the opposite of that. The difference is there. My blemishes, pale lips are all there. I promise, they are there. Do you want to know something? When I started to go out with full face of makeup on, people slowly began to notice me. That is the truth on that. Is this what pretty feels like? To be in the centre of attention? Mind you, I never thought that I am pretty. No matter how many layers of makeup I used, the effort I put to fake a good smile or how bright my clothes are. Never in my right mind would thought that I am pretty. It's sickening, I know. Just when you thought I have enough, it's never enough. Every now and then, I find myself scrolling through Instagram and I catch a glimpse of pretty girls that I envy the most. And I catch myself asking, why am I not pretty like her? Why can't I be pretty like her? It is almost feel like so toxic. Just toxic, in my eyes. I am not one that will look into the mirror and tell myself I am pretty. I am not. I wish I were. It's almost impossible for me to take a barefaced photo because I never like it that way. I have never liked my appearance. I wish my nose was slimmer, eyes are a little expressive like they can tell stories, teeth are less crooked etc etc. These insecurities are patented when I was a little kid, and still live today. These insecurities lingers and I have to accept it every day. I wish I can fit a lot of confidence in this huge body. It is then I wondered, this life is fair because it is unfair to all of us. You can't expect to have anything you want in life. I mean, Lord knows how powerful one can be if he/she can have anything that they desire. He knows the best. He knows anything and everything. I want to start feeling pretty again, like the girls I always envy on Instagram (they are all so confident!). To accept what I see in the mirror. With or without makeup on, that girl in the mirror is almost pretty, but not quite certain, with blemishes all over the face and nose a little wide. Maybe we can ignore that unhealthy shine on her face. Also that chapped lips. I may not be pretty, yet. I may not like my appearance, yet. But I can learn to accept it. Maybe, to feel pretty is to accept. Accept the flaws. Love them to bits. Maybe then, I might actually feel pretty, be pretty. Hello gorgeousness! Happy weekend to all of you who are reading. I hope you all are in the pink of health. 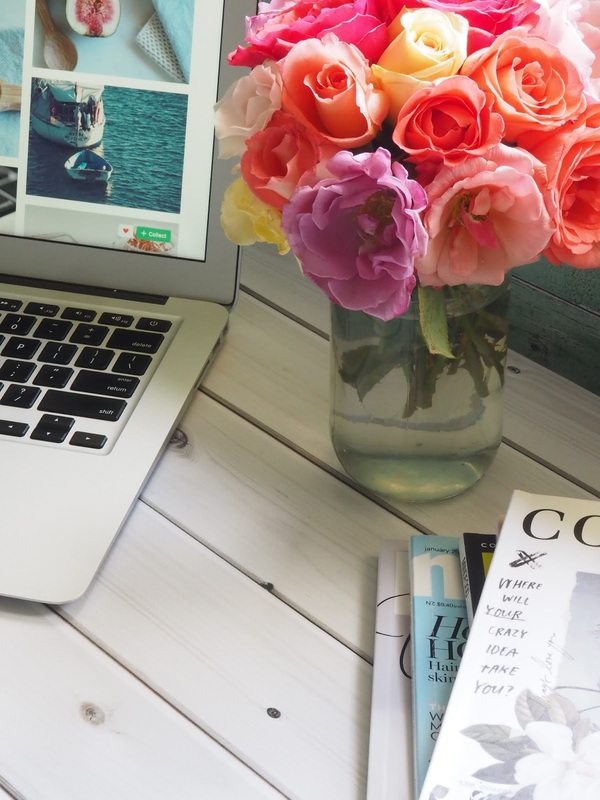 I wanted to talk about 5 Blogger templates that I have been eyeing lately. It's a tough decision for me to change (or downgrade, if you will) my template because once you go Pipdig, you never go back. But the whole Pipdig fiasco was stressing me out. What they did was pretty nasty, I admit. ANYWAY, we're not here to discuss about the whole situation, so if you wish to know the about the 'tea', just type in 'Pipdig' on Twitter and thank me later. I went onto Etsy a lot these few days (my search history is shaking) but I felt really overwhelmed by everything that I came right back off! I feel really hopeless about finding anything I like more than my Pipdig theme. It's like my pride and joy. But we gotta do what we gotta do, sis. So, which 5 Blogger templates that I set my eyes on? GORGEOUS. Gorgeous! I feel like this is the one I am gonna get. There's so many features (that I like, of course) that come with this template. The design is so right up my alley. This template is so pretty though, but I think I like Belmondo more. You will have two template options if you purchase this - one comes with sidebar and the other has none. So generous of them! Did I mention, all of their themes come with free installation? Yes gworl. Out of all the templates from Kate, I really like Roonie. I fell in love with it the first time I laid my eyes on it. It's simple and clean-looking. I really like that profile section feature. OH MY GOODNESS. I really like the layout. It's such a beauty. Everything is perfect until you have to pay for the installation haha! I am not one that will spend hours and hours tweaking templates. I will get mental breakdown. It's so nice having someone to do it for you without involving any cost, no? Beautiful template and the layout is so eye-catching! I would just scroll on and on just to see the homepage. It's divine and I would purchase it just for fun. This theme is also doesn't come with installation. That one you have to purchase separately. Do you have anything that you set your eyes on lately? I admit I don't clean my makeup brushes as often as I should simply because it's so time consuming and I own a lot of makeup brushes. At any given time, I probably use 10 of them but still is the cleaning process going to take time. When I finally get around to clean my brushes, it feels like the world is a better place. 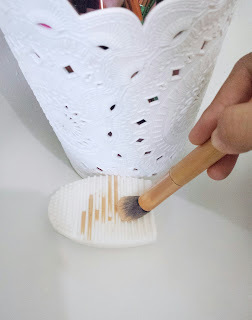 I know that's quite hyperbolic but there's nothing like using a squeaky clean brush to blend eyeshadows and concealers. 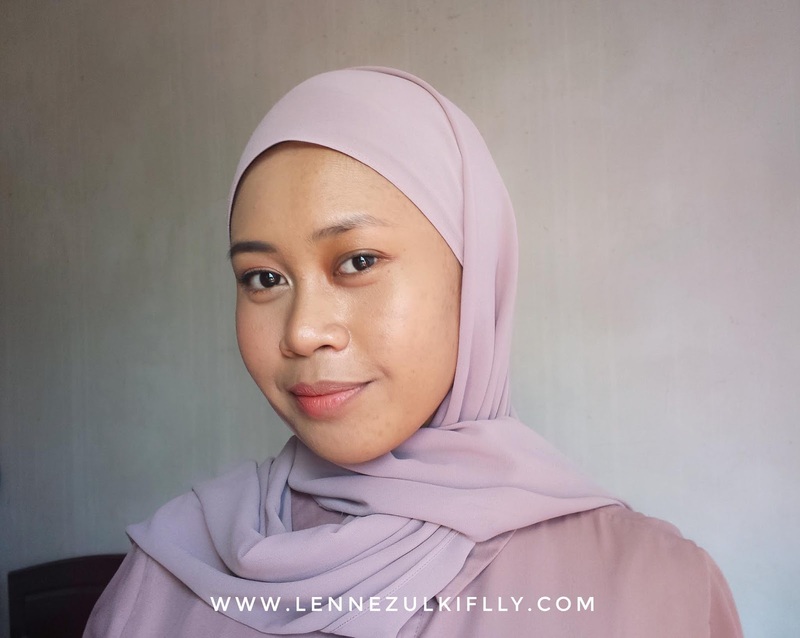 Not to mention, clean brushes won't cause breakouts and that's all that matters sometimes, rather than changing your skincare routine (oh I should take my own advice). 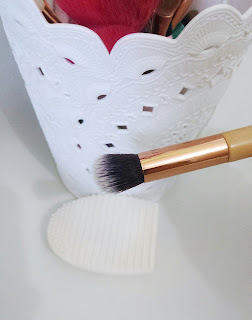 So, how do I clean my makeup brushes? 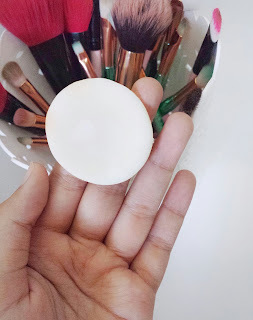 I only use these five simple steps to deeply (and easily) clean my brushes. Firstly, wet the bristles with water. Note: I only wash the bristles and keeping the handle as well as the metal part dry to extend the life of my brushes. While the brushes are still wet, swirl and rub them on a gentle soap (baby shampoo works well too) until most of the dirt come off. Next up, rinse the soapy brushes in the water and gently massage the bristles. I sometimes repeat the process depending on how dirty my brushes are. Once they're all clean, I reshape the brush heads and lay them flat at the edge of a counter to dry. Voila! Easy-peasy. Honestly, I clean my brushes twice a month (if not, once). That's pretty okay considering how I hate cleaning my brushes. If I am being honest, sometimes I just use facial wipes to clean my brushes. It's faster and even quicker. You don't have to go to your bathroom and whatnot. But, I do not encourage the facial wipes method. It won't deeply cleanse your makeup brushes, okay? Spare a day where you can spend most of the time at home and do nothing. 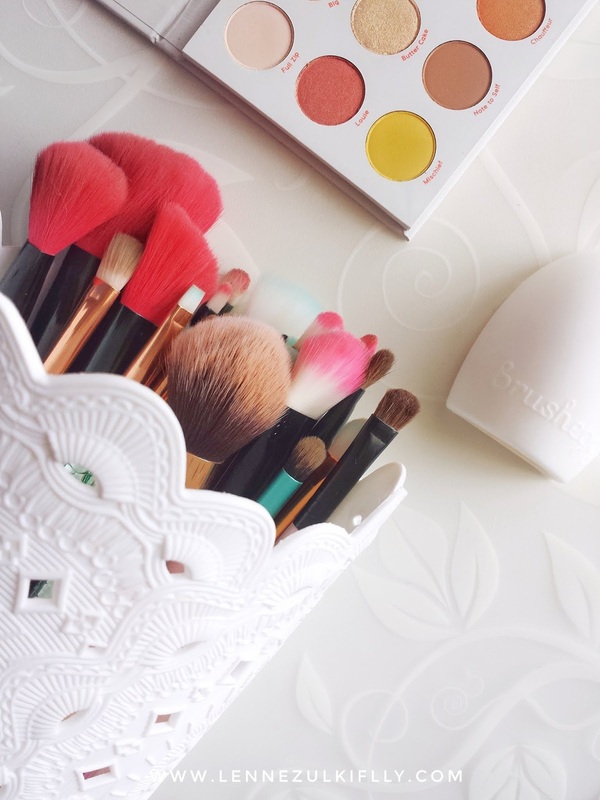 That's a perfect day to clean your makeup brushes and when you're done, it feels like a real accomplishment. Hello gorgeousness! I am finally going to do an updated skincare routine. This is definitely a long overdue post that I have been wanting to do. My insta peeps always keep the request coming so here it is. For over just December last year I have kept my skincare routine pretty simple, narrow and basic. You can say that I am being slightly strict with what I put on my skin now. My skin definitely changed for the better when I use less products and I wish I knew that earlier but oh well. Now what else I can do other than hoping it's here to stay. I ain't risking my skin anymore. All I know is that the products I use now has helped immensely with my skin concerns and I won't be changing them, hopefully not in the near future. So, I will be sharing not 1 but 2 skincare routines today - being my AM routine and PM routine. Hopefully it's not too long and bore you. I really adore this cleanser from CeraVe that I got for at least over three months. It does its job pretty well. I like it maybe a little too much because it's so gentle on the skin even though it's a foaming cleanser, my skin never feels tight after using it. It's a bomb dot com facial cleanser if you're in the mission to repair your moisture barrier. My skin reacted so well with this cleanser! Tip: I am using the #60SecondRule to wash my face that's created by the amazing global esthetician on Twitter - Nai. Who knows washing your face for just 60 seconds could make your skin gleaming! I always, always tone. I feel like my skin is in a good place right now is all because of the toner I use (or I could be wrong lol). 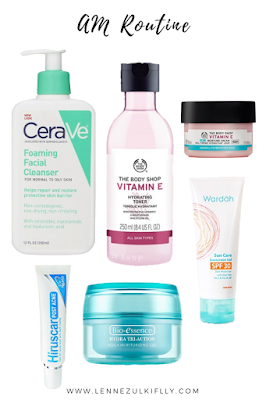 You would know by now if you read my The Body Shop Vitamin E skincare range post. My current bottle is my fourth one! I love it and I wouldn't know honestly what do I do without this toner. Tip: I usually do double or triple layer of toner to boost extra hydration into my skin. This tip is golden. It works like a miracle. I know it seems excessive but it works - it helps a lot with texture, pores and of course dark spots. Spot treatment is like an option to me. I don't always use it but I do use it every now and then. This Hiruscar Post-acne Gel works pretty okay. You do have to use it frequently so you would be able to see the result faster. Also, using it after toning the skin works great too if you want to see immediate result. I feel like I am cheating because I have been using this moisturiser for only 2 weeks by now but it works phenomenal! The Body Shop Vitamin E Gel Moisturiser is really lightweight and deeply hydrates without sitting on top of the skin. If I can talk sh*t about it, it's the scent. It smells like men's cologne. It's obnoxious! Sometimes, I like to rotate this moisturiser with the Bio Essence Hydra Tri-Action Aqua Moisturizing Gel one too. Whichever I feel like using that day. Both of them perform the best as a moisturiser and didn't break me out! I only started using sunscreen on and off two years back. I am pretty consistent with it now I guess. 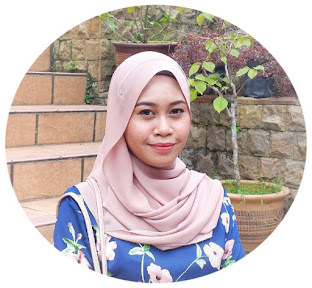 The one I love at the moment is the Wardah Sun Care Sunscreen Gel. 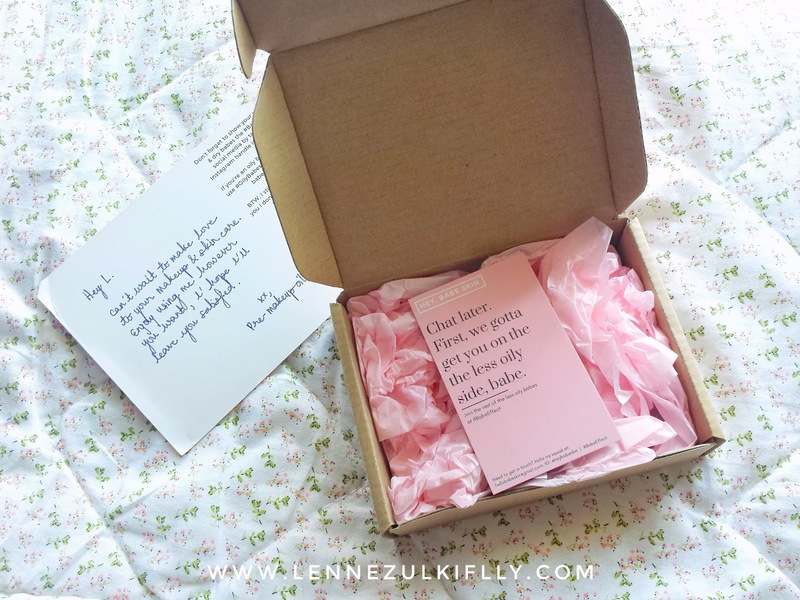 It has an SPF30 and that's just what I need for every day use. No alcohol, no whitecast and is fantastic under makeup. I remove my makeup or pretty much just every day skincare residue with Garnier Skin Naturals Micellar Cleansing Water. The one with blue cap is perfect for oily babes like me. It doesn't sting my eyes, doesn't burn or strip my skin. Every other day when I wear slightly heavy makeup, I will use the Simple Kind To Skin Hydrating Cleansing Oil just to easily break down all the layers of makeup and I will use the hydrating Sephora Collection Watermelon Cleansing Wipes afterwards. I then will cleanse my face (again) with facial cleanser just because. 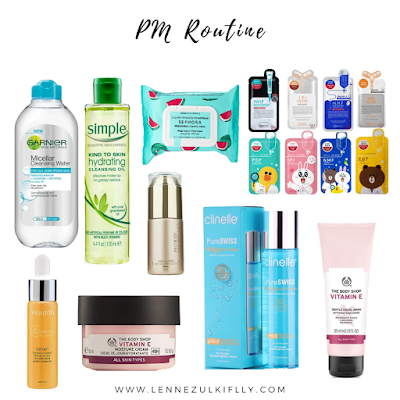 When it comes to PM routine, I usually use slightly "heavy" and thick type of products as that works the best for my skin type. I use The Body Shop Vitamin E Gentle Facial Wash during my PM routine only. Although it's a cream type of facial wash, it's really gentle on my skin, I don't feel any tightness after washing my face. It removes every last trace of makeup or dirt. I really like it. It also smells good. I really like my Vitamin E toner but part of me just don't want it to run out a little too fast. I gotta do something about it by having backup. 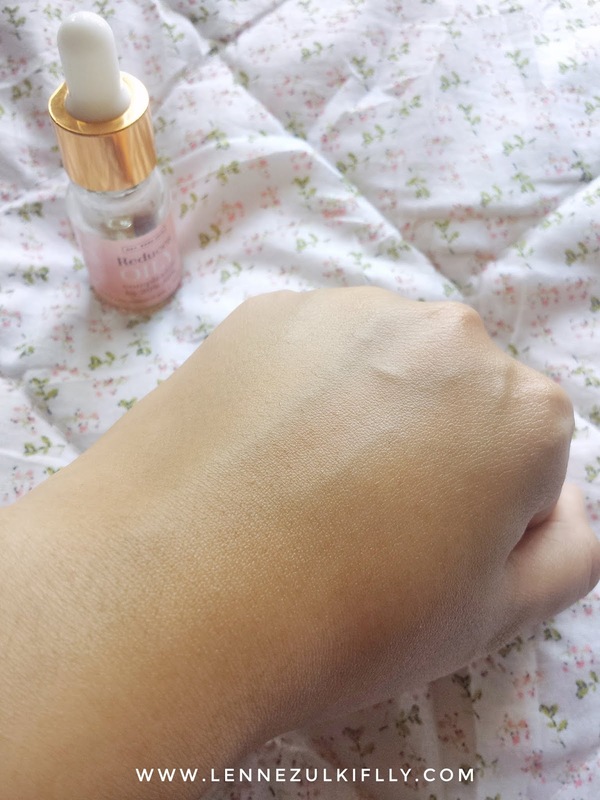 So I tried Clinelle PureSwiss Hydracalm Lotion over two months ago and I kinda dig it. The consistency is almost the same as my Vitamin E toner except thicker. But I didn't get breakouts which I thank God so much for that. I just don't like the scent - it smells like a bed of roses. It's too much. I have just started using serums again. I would say it took me a month or so to calm my skin without these additional steps in my skincare routine. Now I am using a Vitamin C serum from Wardah. This is the only serum that works for my skin other than the Bougas Beauty Serum. 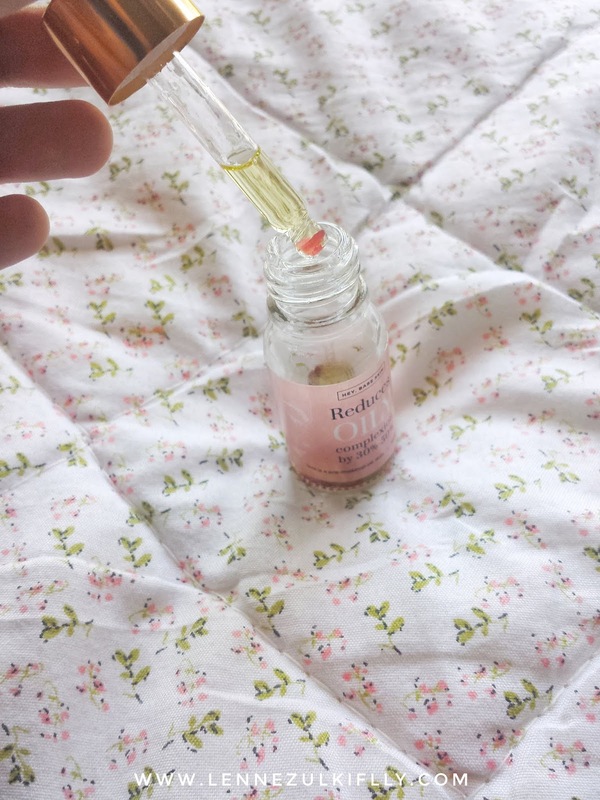 I use the Bougas serum every now and then but the Vitamin C serum is definitely a staple. I use it daily for my PM routine. Vitamin C is really good if you have PIH like my skin. And this one from Wardah is pretty mild in my opinion but doesn't matter as long as my skin can handle it. The mask I am using in my skincare routine has been talked about before on the blog. I will leave the link here for your convenience: POST. 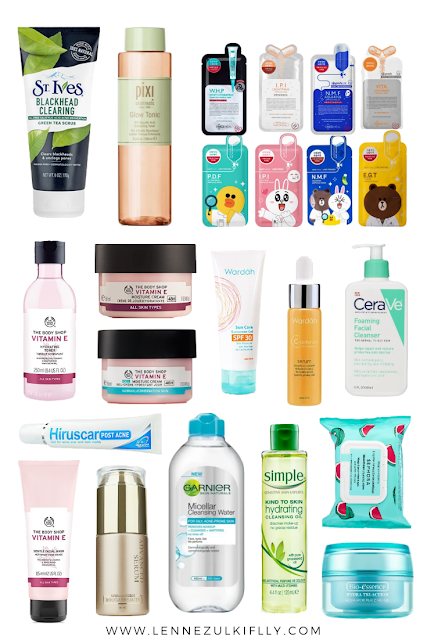 I only stick to this brand specifically for my weekly-mask-time but I have used quite a few from different brands too. I just love Mediheal masks as you're able to see the result almost immediately after using it. Now, I have heard somewhere else that the only thing masks do is hydrate and that's it. Something is not quite right there (to some extent) as we all know masks are catered to different functions to kinda solve different concerns in my humble opinion. I could be wrong but I do think masks are more than just hydrate. I was so afraid to use cream type of moisturiser because y'all know, with this skin type? It will only make it worse. Until that one night where I finally gave it a try (because I bought that using my own money and I want to make use of the things I bought using my hard-earn money) and I love it! I use The Body Shop Vitamin E Moisture Cream as my moisturiser and I only use it during my PM routine. It basically works well for my skin - lightweight, quite tacky but didn't break me out and my skin glows every time. Exfoliate. You have to exfoliate regardless of your skin type and I do exfoliate my skin (if I am not being lazy) three times a week. 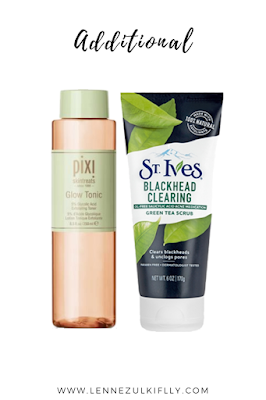 I love my Pixi Glow Tonic (chemical exfoliator) and St. Ives Green Tea Scrub (physical exfoliator) so I will rotate them according to whichever I am feeling the most that particular day. So, that's that. I hope you enjoy a rundown of my skincare routine. 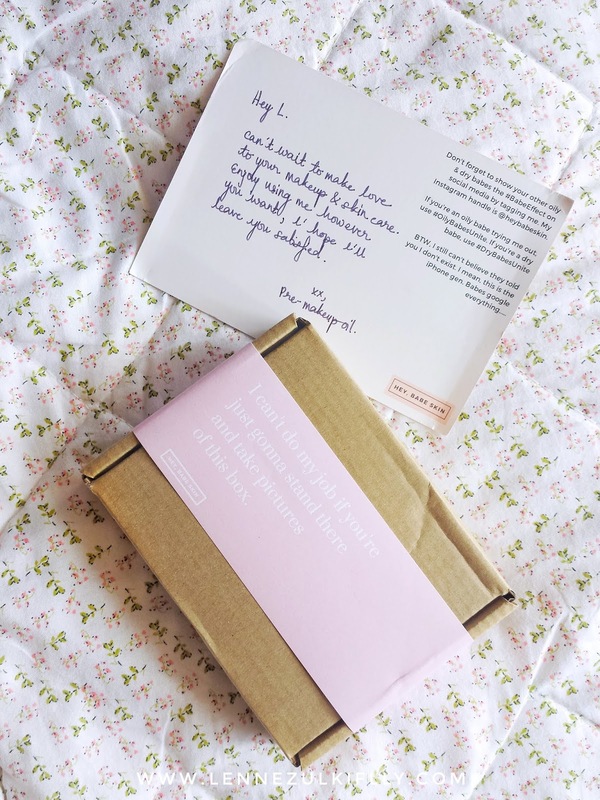 I can't believe using these 'minimal' products helped calm my skin. The results are just astonishing! I love my skin more than ever now. 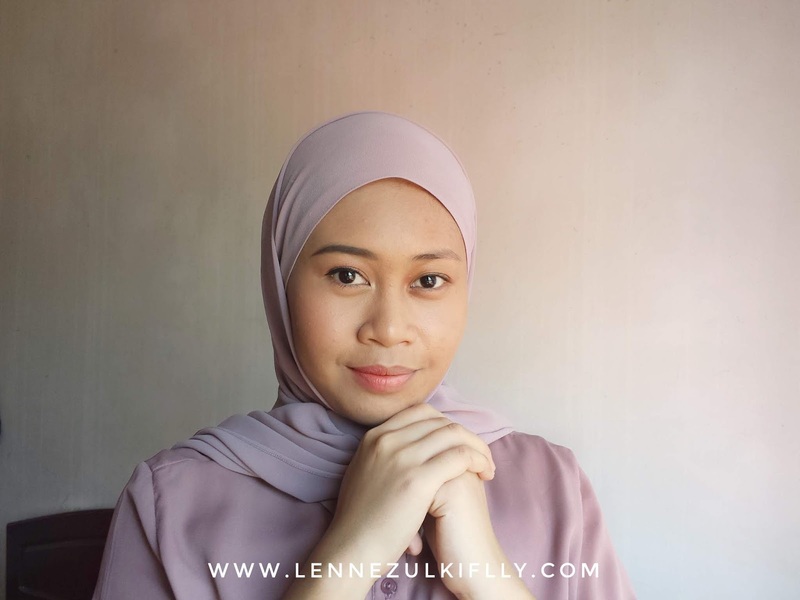 I would say, if you're suffering from breakouts, don't be afraid to change your skincare routine. Get out from that bubble and find heck lot of hydrating stuff because #HydrationIsKey. What's your skincare routine like? What is your skin type and what are some products you swear by in your skincare routine?